No progress in your strength training? These top tips will help you to reach the next level quickly. Techniques for rapid strength gain include tempo, low reps, intensity and volume. 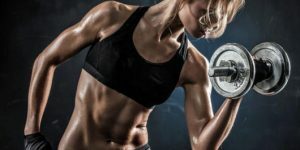 In order for these tricks to work, you must follow these tips: rest as much as you need to in between sets of exercises, consciously create tension in the target muscle before the lifting phase, contract your abs forcefully, tighten your grip and perform a plyometric exercise immediately after a lift. 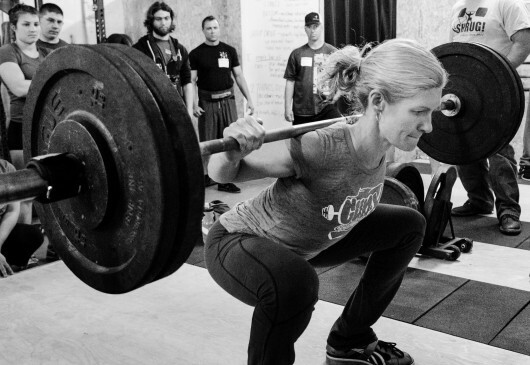 First off, what exactly is strength and how does it differ from muscle gain and endurance? Strength is the force a muscle and a group of muscles that can generate force for you to be able to lift weight and hold off a powerful resistance. Endurance training. Endurance is the ability for a muscle to work continually over a period of time. Bodybuilding. Bodybuilders get big at the expense of maximum strength. Strength training maygive you larger muscles but the real goal is to increase the density of the fibers in your muscle. The more muscle fiber density you have , the more force you’ll generate. The mechanisms of strength training require effort, dedication and persistence over the long haul for great results. However, there are ways to increase your strength right now that will accelerate your gains and make your workouts more productive. 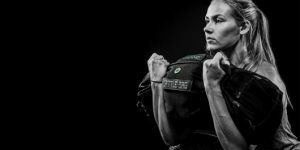 Below is a discussion of few little time honoured tricks for rapid strength gain as well as the general, yet often overlooked, approaches that make an effective strength training program. There is a lot of conflicting information about how to use resistance training to increase strength. To make matters worse, marketing gimmicks and ‘miracle training programs’ convince people to part with their hard earned money only to be disappointed when the promises just don’t work out. So let’s clear up some misconceptions and make sure that you are exercising correctly using an evidence-based approach. Increase the tempo — The research is clear: for strength, you need to move relatively quickly. This means that you need to move the weight explosively without relying on momentum. Loads around 60% of the 1-rep max should be used and moved as fast as possible. Lower the teps — Lift heavy (at 90% of the 1-rep max) for maximum muscle recruitment. With these heavy lifts, do only 2-3 sets. Your intent should be to move even the heavy weight as fast as possible. This will ensure you’re recruiting as many fast-twitch muscle fibers as possible. Some of these tricks might be familiar to you, but the emphasis here is the importance of the mindset behind proper strength training. Here’s the important bit. The goal is not exhaustion but rather to perform as many fresh reps as possible. If you lift heavy and briefly, then rest a lot in between sets so that you’ll feel fresh enough to exert yourself in the next set. Remember, reps should be of quality. Focusing tension into the target muscles as you’re about to lift is an excellent way to overcome sticking points and this improves your ability to lift heavier weight. Your mental focus creates a mind-muscle connection that leads to a stronger contraction. As the famous strength trainer Pavel Tsatsouline says: Tension = Force. This is related to the point above. Tensing your abs powerfully will increase the force production in any exercise you’re performing. The core muscles are used in every exercise to some degree, so powering them up is a sure way of creating a burst of strength throughout your body. Tensing your glutes will generate a similar increased force effect. Gripping the bar harder, or really digging your toes in when doing squats and deadlifts will create larger amounts of tension and therefore force. Pairing a lift with a plyometric exercise that works the same muscles is sometimes called complex training. With this, you can take advantage of an elevated excitement levels in the central nervous system. For some reason, it is common for people to apply exhaustion techniques to strength training. They miss the point that hypertrophy or muscle building exercise is a different beast altogether compared to strength training. Remember to rest a lot between sets and don’t push your muscles too much. Also, you should consider strength as a skill, which means that the more you practice, the stronger you become. A large part of strength development is programming the muscles to move efficiently through a specific movement. By resting more, you can train more often and perform more quality reps in each workout. Tricks 2-4 are dynamic tension tricks that are effective at increasing your strength in the moment you need. This produces more force through your target muscles. Controlled tension techniques, like those above , are often not taught to beginner and intermediate exercisers which is a shame because they can increase gains dramatically. Practice these techniques and tricks and be conscious of what work best for you. You’ll be surprised at just how powerful your body can become when you use these techniques and tricks the right way.